Always BPA free for your ultimate reassurance. Compatible with all Closer to Nature teats, excluding Advanced Comfort and Ultra teats. 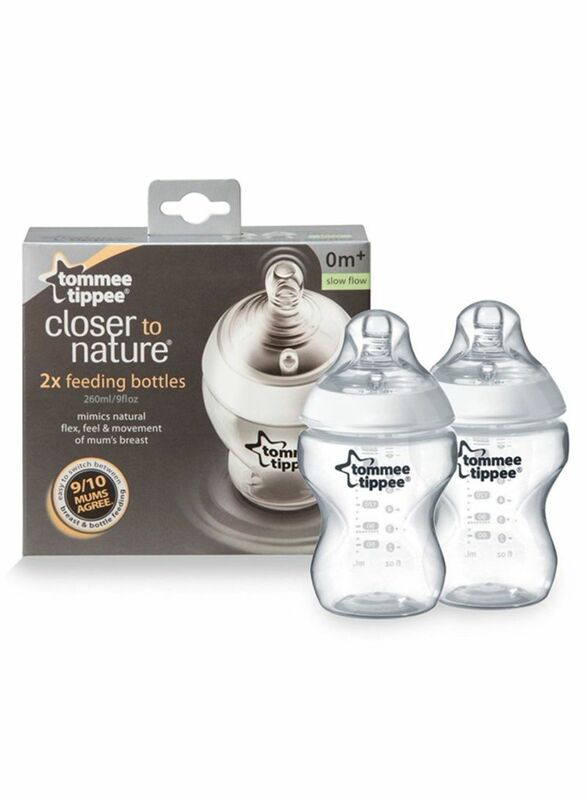 Tommee Tippee set of 2 closer to nature feeding bottle works beautifully, just like mum, authentically flexing and stretching to mimic the natural look and feel of mum's breast. Designed in conjunction with breastfeeding experts, the revolutionary Closer to Nature Easy-vent teat mimics the natural flex, movement and softness of a mum's breast, to make switching between breast and bottle easier than ever before. The unique shape encourages your baby's natural feeding action so that switching between breast and bottle becomes second nature.